STILLWATER, Okla. – The No. 2 seed Arkansas baseball team (37-22) will look to capture its fourth NCAA Regional Championship in the last seven years, taking on St. Johns Sunday at 6 p.m. in the Stillwater Regional. The game will air on ESPN3. • Arkansas is 68-58 (.539) all-time in the NCAA Tournament, including a 50-39 (.561) record in NCAA Regionals. • The Razorbacks have advanced to six consecutive NCAA Regional finals. • Arkansas is looking to sweep a regional on the road with a perfect 3-0 mark for the third time in the last seven years. • Head coach Dave Van Horn has advanced to 17 consecutive NCAA Tournaments at Nebraska and Arkansas and has the most College World Series appearances among SEC head coaches with five. • The Razorbacks are in the midst of their 28th NCAA Regional in program history, including the 14th consecutive. • Three of Arkansas’ past four NCAA Tournament wins have been come from behind victories. • Michael Bernal is riding a career-long 12-game hitting streak. • The Razorbacks have won 12 of their past 16 games away from home. • Arkansas has won 22 of its last 29 games dating back to April 5. • Joe Serrano added his 16th multi-hit game, the 63rd of his career, and his third three-hit performance of the season Saturday against Oklahoma State. • Zach Jackson claimed his seventh save and has 77 strikeouts in just 51 innings on the year. • Jackson has seven strikeouts in the nine outs he has recorded in the NCAA Stillwater Regional. 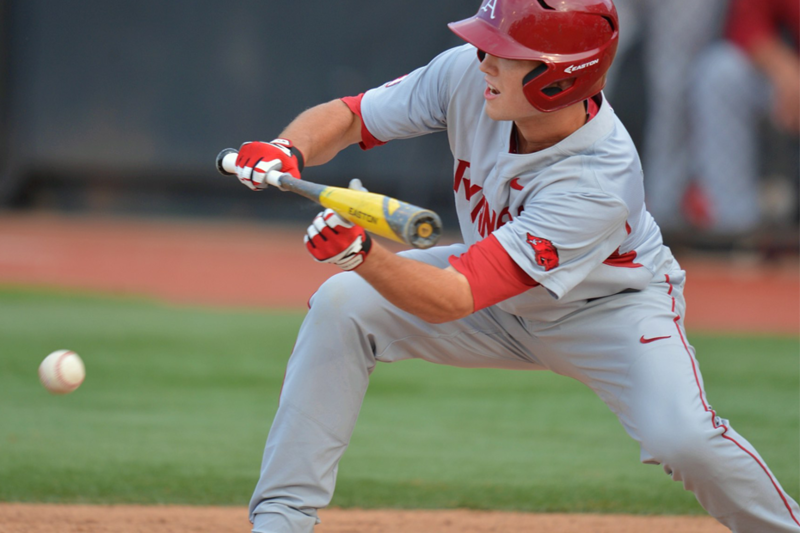 Game 6 – Arkansas vs. St. John’s 5, 6 p.m.